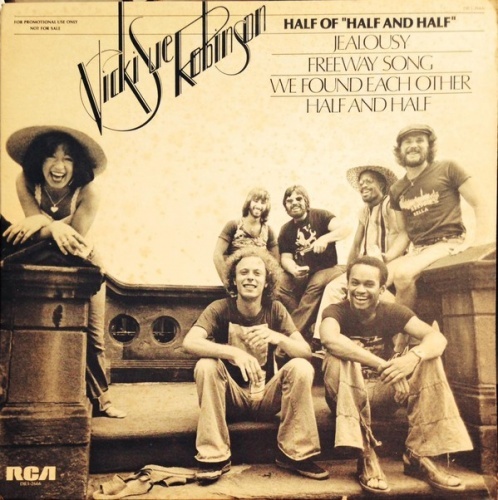 Without question, Half and Half is Vicki Sue Robinson's strongest, most consistent album. Her two previous albums, Never Gonna Let You Go and Vicki Sue Robinson, were uneven -- they contained a few gems but were dominated by material that was merely decent instead of excellent. This 1977 LP, however, is confident and solid all the way through. "Don't Try to Win Me Back Again," "Feels So Good It Must Be Wrong," "Trust in Me," and the hit "Hold Tight" are exuberant disco-soul classics, and Robinson is equally appealing on the Northern soul ballads "We Found Each Other" and "Freeway Song" (which she co-wrote). Meanwhile, the title song is a rock-influenced funk treasure that would have been perfect for a Rufus/Chaka Khan album. Everything on Half and Half was deserving of radio airplay, but unfortunately radio DJs didn't pay nearly as much attention to the record as club DJs. Nonetheless, this excellent LP explodes the myth that the only worthwhile recording Robinson made was "Turn the Beat Around."